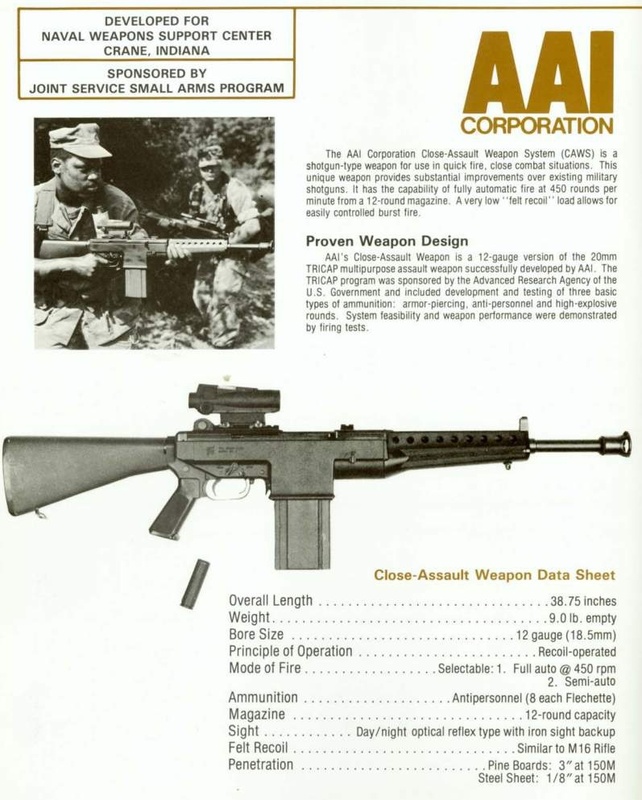 I would like to see some ARs and Rem 700s in 300 Blackout. It doesn't mention it in the wiki page, but AAC claims that subsonic 300BLK fired from an M4 with one of their suppressors is quieter than an MP5SD. I don't mind the numerous items but I agree there are issues. Regarding the AI selection of unfit guns I suggest to misuse the coolness tag setting. Just set 0 as the default that tells the AI to not use it, and yet include a rule that the tells the AI to randomly choose such weapons for 10% of its troops. That should make the AI harder/smarter at little coding cost yet allow a certain degree of real world lack of good stuff to the poor guys. Then combine with the small number of magazine types. If color coding could be done by overlapping bitmap that would cut everything down to 1/5 at least. It's a major change so I doubt it will be done... but just saying. As to make modes simpler a number of dummy images could be added/reserved (like the NADA). Then anyone could do their own simple mod at their own discretion. I dunno if that's possible but that seems feasible to me. Anyway, what I would like to request are IR illumination grenades (M992) and grenade canister (releasing flechette). I understand IR doesn't work well yet or not well made yet. Still Imho it's a serious feature to ponder about. I think it's more important to have the images first. Creating, setting, and tweaking the stats can be left for later. [quote:Pman]Just set 0 as the default that tells the AI to not use it, and yet include a rule that the tells the AI to randomly choose such weapons for 10% of its troops. [/quote]So the AI should never ever use it, except for when it does? What? Simply put, we select the ones we don't recommend the AI to use but still allow it to happen. There are after all all kinds of circumstances in real life. For an organized military that should be more or less accurate since someone's making the purchasing decision and buys in bulks. As to less organized groups(anyone else) I can provide some statistics for reference. Which is easily doable with current capabilities and no weird new hacks. Anyway, another thing I noticed with most games including JA2 there's a biased toward NATO heavy machine guns (.50 BMG) but in the real world the opposition uses mainly the russian 14.5 mm. I don't see any here either. I'm seeing area-denial & turrets & automated mortars becoming popular these days. It would be nice to have this option. Of course to prevent spamming there need be restrictions like one-per-map and bulky or heavy so that only one can be carried by a merc. Or maybe even only parts can be carried and have to be assembled in place (works something like a dropbox). Further numbers of shots could be limited etc. The goal is to make it worth for a little force but not for a large & more flexible force. But I like to see it more on the enemy side as a challenge, though. Of course I wasn't smart enough to search through the XMLs and brought up thing that are actually in the game. What about the 4.5 mm air pistols and rifles used in competitions? They are very accurate, but not designed for military applications.. however, they could still cause some damage to unarmored opponents at close range. I'm thinking about adding an air rifle just for fun, it will only be suitable to shoot crows, but you might tune it with a spring and then shoot something bigger I could share it when I am done if anybody is interested. I haven't read this entire thread (or the previous 14) but the Mark 48 would be an awesome addition. More 7.62 NATO LMGs in general, really. How about Barret M107? More light but less accurate and powerful alternative to Barret M82. I think those could be good in 1.13 as a way to show how to implement special shells. Float like a butterfly, sting like an anvil rocketed out of a steam catapult at 2700 feet-per-second. At Bobby Rays, we call this one the "Iron Mike." THE answer for the CQC merc who doesn't want to spend a lot on a bunch of frou-frou bells and whistles (as well as the occasional Navy SEAL), there's no full-auto out of the box, but just like the Champ, keep them within hitting range and you won't need it. Basically a leaner, meaner, cut-down special forces variant of the M14, it comes with a shorty 16" barrel, light-weight polymer furniture, ridiculously affordable price, picatinny rail, and a design-specific tactical maneuverability and ultra-tight swinging radius that's matched only by its penchant for acquiring, drilling and dropping targets in just one shot at 250 yards or less, open sights. *Sorry if the language is offensive to anyone. It's simply one of Mike Tyson's best (most absurd?) lines. Ballistic knife. Can be crafted from tube, rod and spring. Requires heavy thowing knives to shoot and reloading after each shot. There have been 2 weps that i was wondering why aren't in the game already and would be nice to see them, also 1 special rifle that it's quite nice too. Benchmade model 42 Filipino style knife a.k.a "Butterfly knife" or "Balisong"
And those are some of my weapon ideas for the mod, good job at the time, i really like the weapon variety in the game right now. We need to introduce a new max coolness of 11 for this. Yep it the other claws. I still stand that "vanilla" 1.13 could use some more shotgun variety, both in gauge (10G please!) and in ammo (so many special rounds out there!). Sorry for the repost but my image has shrunk. Zarax i think there's a good argument for using some of the special rounds from AIMNAS as there is already artwork. introduce .22 and .25 with some crappy pistols (rifles for .22), i really want crappy guns, because it gives more challenge and is better because then you can give it to milita or non-combat mercs. I do not know how easy it is to convert to full auto. Supposedly the original open-bolt design was easy, and the later closed bolt design was harder or almost impossible. EDIT: I also agree we need more low coolness old weapons like MP40, BAR (Which might be in the game already I don't remember) DP-28, etc. is mpt-76 in the game? if not do you consider to add?